Proactive Advisor Magazine: Michelle, please describe your firm’s focus on college planning. 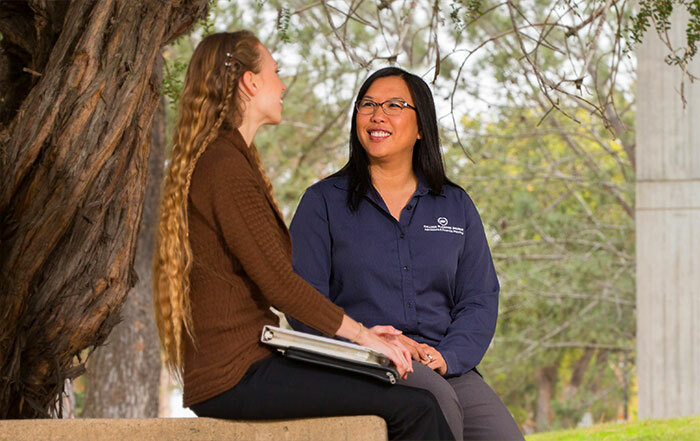 While attending UC Santa Barbara, I worked in the financial aid office. It became clear to me that a family’s finances can be negatively impacted if they have not planned comprehensively for college funding. I decided I wanted to go into the field of financial planning, knowing I could use my knowledge to help others. While I was establishing the practice, I worked in commercial lending and then as a member of a financial advisory firm. These were valuable experiences for expanding my knowledge base in the financial-services industry. I became licensed and reached a point where I could devote myself full-time to my firm, College Planning Source. We now have six full-time members of our team, and we have developed a three-part system to help families identify and achieve their goals. A comprehensive college plan should include college funding, student development, and admissions. The three components need to be working together at the same time to produce the best outcome for a family. We help families identify the potential deficiencies in their college planning and the significant opportunities that can be found via comprehensive strategies. We have worked with more than 1,200 families to develop financial plans that minimize their costs for college and maximize their lifetime savings. We find that working with families on college funding often raises many additional financial questions and can lead to a more robust financial-planning relationship. We can help clients to implement financial-planning strategies that work within their budget to potentially maximize cash flow, avoid unnecessary transfers of wealth, and optimize their tax savings. We work with many families on a full financial plan, retirement planning, and investment planning and implementation. What areas do you address regarding college funding? Our number one priority is educating families. We participate in many free, public seminars and workshops about college planning. We discuss what families and parents need to consider to create a college-funding plan, while maximizing the amount of financial aid and scholarships the student is eligible to receive. Even if a family is not eligible for need-based aid, we will cover the best strategies on how to pay for college on the most tax-efficient basis. Many of our programs are conducted in association with The Society for Financial Awareness. Most families are ill-prepared for college costs and wait far too long to start planning. Based on my personal experience, half of all families have not saved at all for college costs. I would estimate that close to 70% of families have saved less than $3,000 per college year for each potential college student in their family. This is a disturbing situation, and, if not addressed, will place a huge burden on families and students as they face their financial future. Upfront planning can make a tremendous difference to a family’s long-term finances. It costs roughly $7,000 to save over a 10-year period for $10,000 in tuition costs. It costs roughly $14,000 to repay a $10,000 loan over 10 years. If you multiply that $7,000 differential by the actual four-year cost of a college education, you can readily see that the numbers are huge in terms of total cost to a family for one student, let alone several. We believe, however, that our services can help any family to develop a beneficial college-funding strategy, even if they haven’t started saving early. The key factor is not to wait any longer and to take action as soon as possible. What can people learn in your seminars? How to pick colleges that will offer the best financial aid packages for a variety of student and family situations. How to evaluate the trade-offs between public and private colleges and in-state versus out-of-state schools. How to pay for college without relying on 529 plans, expensive private student loans, or depleting retirement accounts. How to increase tax deductions and tax credits. How the structuring of income and assets can make a difference. What assets are taken into consideration when the U.S. Department of Education calculates the Expected Family Contribution. How to develop a customized plan to meet all of the college costs a student will incur, while integrating scholarships, grants, the lowest-cost student loans, and other resources. Planning for multiple children in college at the same time. Planning for special-needs students and other unique situations, such as divorced couples. Navigating the complexities of financial aid timelines and required forms. How can your financial-planning relationship with clients evolve beyond college planning? Through the process of building college-funding plans, we typically conduct a thorough discovery process. When you are forecasting expenses and resources for the future, that is imperative. It is very much a low-key effort of moving to the next level, and sometimes the request will come from clients to look at other areas of their financial planning. I also will frequently make the offer of providing a second opinion on a client’s current financial or investment plan. I have always been an independent financial advisor and think that allows me the freedom to select products, services, and investment strategies that are most suitable for a client’s needs. I also work with an independent RIA as an investment advisor representative of Signature Resources Capital Management and have a strong working relationship with that organization. I appreciate the resources they provide, especially regarding investments, and my ability to discuss specific client needs with their staff. How do you approach the overall financial planning and investment process? We want to help clients identify the most important goals they should be focusing on moving forward. We take a holistic approach. We discuss where the family sees themselves in the future. What do they truly want to achieve? We move backward from there to put together a plan that works. So, first, it is identifying goals. Then, we determine the resources that can realistically be used in the future. From there, we help identify the investment strategies and products—the tools—that will work hardest and are most suitable to a client’s specific situation. I am a big educator. I do not want to present financial or investment recommendations that clients do not fully understand. I explain the nature of short-term goals and long-term goals and the fact that different elements of an investment plan might be working against different objectives and different timelines. Typically, we then will meet once a quarter to review progress versus objectives. If clients are properly educated, the goals are sound, and expectations are managed, those sessions should be very productive. We will look to make appropriate adjustments if financial circumstances evolve or the external environment has a major change. What are your views on risk management for investments? I am very attuned to risk management, especially given our focus on college funding. In many cases, a client’s time frame for building a college fund is relatively short, five to 10 years. A family cannot really afford to see that fund go down in value by 20% to 30%, especially near the time when the funds need to be used. To minimize that level of volatility, we tend not to take a lot of risk with money earmarked specifically for college funding. We may be able to take more risk with clients looking over a longer time frame toward retirement. But, in the majority of the cases where I help clients with investment management, I am advocating for a well-diversified and risk-managed approach to investment planning no matter what. We often use the services of third-party money managers, many of whom offer active investment strategies with well-defined parameters around drawdowns. For most clients, there is a usually a role for this type of managed strategy approach. I intend to be in this business for a long time and to work with clients over their lifetime. Asset preservation needs to be viewed as a priority along with asset growth. Clearly defining goals and expectations, risk profiles, and time frames is a priority in investment planning. When that is all in place, I believe we can construct portfolios that should perform with less volatility and lower comparative risk, and be able to weather various market cycles. I think that is the right thing to do and will help enhance the probabilities that families are in a good financial place for years to come. 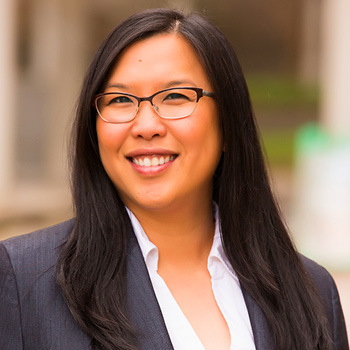 Michelle Mai is a licensed investment advisor representative, providing services through Signature Resources Capital Management, LLC (SRCM), and a financial advisor who specializes in college planning. She is the founder and CEO of College Planning Source, based in San Diego, California. 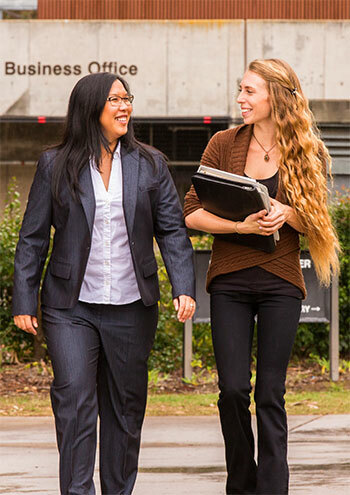 Ms. Mai’s firm provides many resources related to college planning, including strategies for college funding, student development programs, and admissions and application counseling. 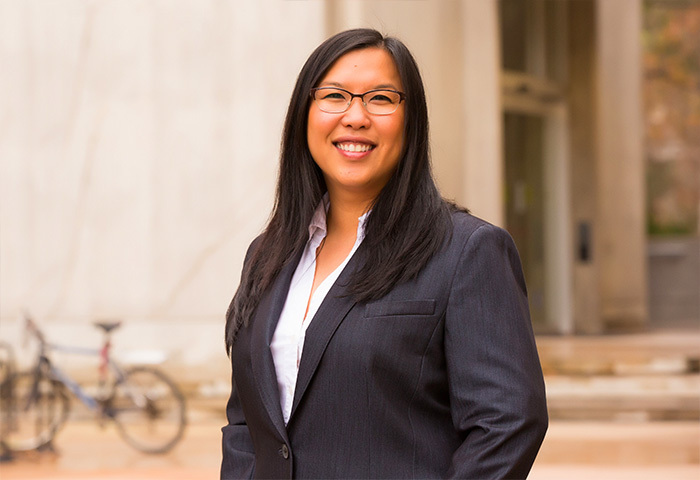 She says, “We believe that college funding and a student development plan are correlated and need to be established at the same time to produce the best outcome for a family.” Ms. Mai also works with individuals and families on longer-term financial, retirement, and investment planning. 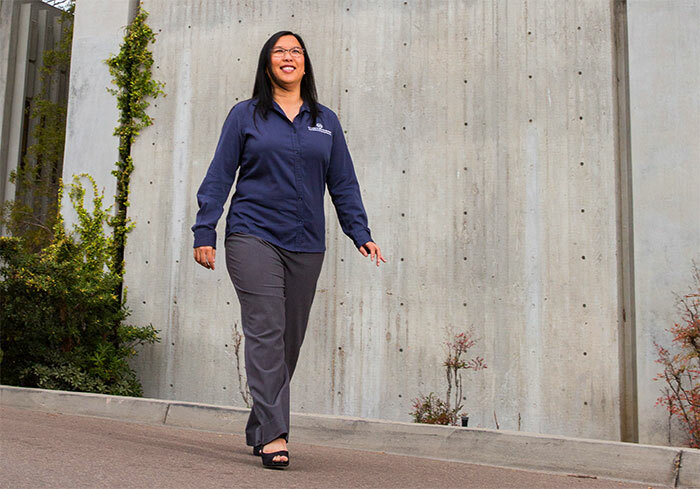 A graduate of the University of California, Santa Barbara, Ms. Mai gained experience and knowledge working within the university’s financial aid office as a student. She later worked in the commercial lending industry and for a financial advisory firm and has been managing her current practice for more than 11 years. 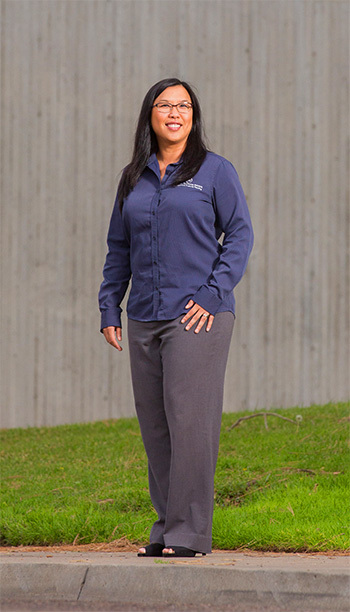 Ms. Mai has made it a point to give back to the community by educating families on topics including college funding and various aspects of financial planning. She is a chapter president of the American Financial Education Alliance, is a local speaker for The Society of Financial Awareness, and has served on the board for the National Association of Insurance and Financial Advisors. Ms. Mai is married and lives in San Diego. She was raised in “a very traditional Vietnamese family” and enjoys spending time with her many relatives. Along with her husband, she is “into fitness activities of all kinds” and enjoys running, biking, swimming, and training for triathlons. Disclosure: College planning services are provided through College Planning Source. Investment advisory and financial planning services are provided as an investment adviser representative of Signature Resources Capital Management, LLC, a registered investment advisory firm. Signature Resources is a service mark of Signature Resources, Insurance & Financial Services, Inc.